TORONTO - Feb. 19, 2019 - PRLog -- A troupe of triple-threat young performing arts students from across the GTA and Peterborough will leave audiences breathless with their show-stopping productions at both of their 2019 Performance Showcases taking place later this month, at The Toronto Centre for the Arts. Preparation for the anticipated event began months ago for the 389 students who are participating from eight Stagecoach Performing Arts schools across Ontario, spanning the province, from Peterborough to Burlington. More than just a show, the Performance Showcase proves to be an excellent teaching exercise for children of all ages, to learn how to work together and flourish as a team, and as individuals. The Performance Showcase helps to provide students with an opportunity to shine bright on a professional stage—not only helping them to expand their artistic horizons and further discover their talents, but to gain 'Creative Courage For Life'. Principal Meredith Hawley says, "I'm exceptionally proud of each and every one of the students and their tireless effort. They have exceeded all expectations and the final performance will be spine-tingling!" She adds that, "It will be a magical day for all concerned, with the students gaining the wonderful experience of performing on the same stage as the Toronto Symphony Orchestra. The pupils have put all their efforts into giving an astounding performance, which I'm positive will have everyone on their feet cheering. It shows just how beneficial the performing arts can be in giving children skills they can take forward with them throughout their lives. Stagecoach will be presenting: Kids on Broadway (Early stage students, aged four to six) on Saturday February 23rd. The Students of Stagecoach will be presenting: The Canadian Showcase (Main stages students aged seven to eighteen) on Sunday February 24th. Both performances will be taking place at The Toronto Centre for the Arts, located at 5040 Yonge St North, North York M2N 6R8. Stagecoach Performing Arts schools in Canada are part of a network of more than 1800 Performing Arts schools and extra-curricular classes worldwide. Stagecoach aims to make a difference in its students' lives by teaching Creative Courage for Life; with many of its students—like Emma Watson and Josh Cuthbert—having gone on to study and work in the Performing Arts, from blockbuster films to countless roles in local theatre productions. The Stagecoach schools offer students experience in all three areas of theatrical arts, each class providing exposure and high-quality instruction in the specialized disciplines of singing, acting and dancing. Early Stages classes are available for children aged four to six and Main Stages classes take place for six to 18-year olds every weekend during term time. All classes are taught by experienced professionals and culminate in a grand showcase or production at the end of each term. Some of the benefits of theatre, include confidence, self-expression, problem solving, focus and perseverance and teamwork. Stagecoach Performing Arts was founded in 1988 and continues to grow as the UK's largest network of extra-curricular performing arts schools for children, with over 46,000 students enrolled in our weekly classes. One of the first extra-curricular children's performing arts schools in the country, we aim to inspire our students, making a difference in their lives by teaching Creative Courage For Life®. With 350 franchises and 3,500 teachers worldwide, Stagecoach operates over 1800 schools and classes and has a presence in eight countries including Canada, Germany, Malta, Spain, Gibraltar, Australia and South Africa. Notable alumni are Emma Watson, Jamie Bell, Eleanor Tomlinson, Tuppence Middleton, Tom Fletcher, Dani Harmer, Josh Cuthbert, Danny Mac and Charlotte Jaconelli. 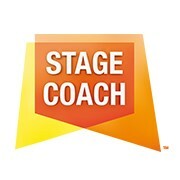 Find Stagecoach on Facebook at www.facebook.com/stagecoachtheatrearts and on Twitter at www.twitter.com/stagecoach_gbr. For more information visit the website www.stagecoach.co.uk. Continental Hair Celebrates 20 Years At Sunnybrook Hospital!